Introduced a few months back, the adidas Falcon recently received a clean summer-ready “Triple White” makeover. A mashup of the German sportswear label’s Falcon Dorf and YUNG-1 footwear options, the latest iteration of the hybrid model features a white mesh base, coupled with complementary smooth leather, off-white suede overlays and hits of silver. Leaving adidas‘s signature Three Stripes branding behind, Trefoil motifs found on the tongue and heel serve as the main branding elements on the shoe. 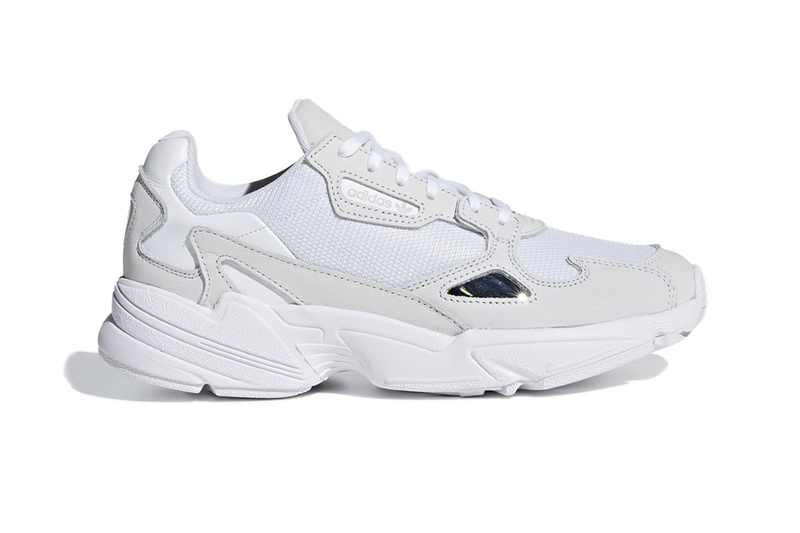 Borrowing the sole system from the emerging YUNG-1 silhouette, a sculpted pure white Phylon midsole paired with a matching rubber outsole elevate the new colorway. No official drop date just yet, but the “Triple White” adidas Falcon is set to be priced at $100 USD. In case you missed it, take a first look at the adidas Yung-1 in purple/grey.